Welcome to the magical circus carnival, this is where the miracles happens! 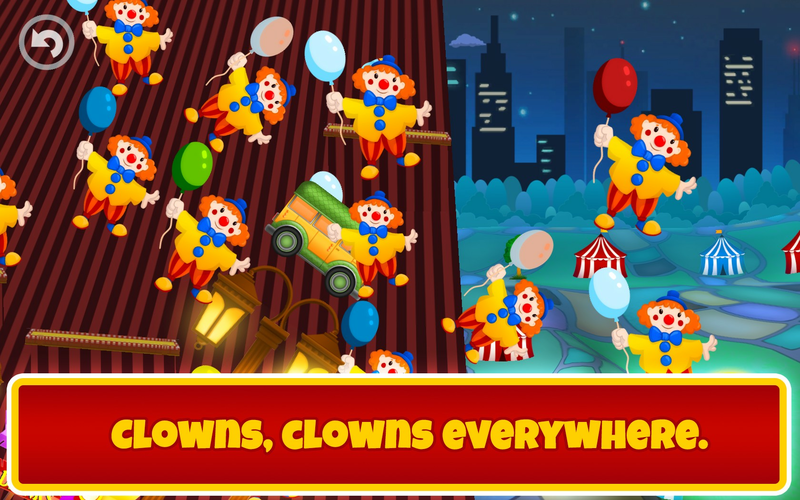 Prepare for tons of fun rides and attractions in this magical circus showtime! 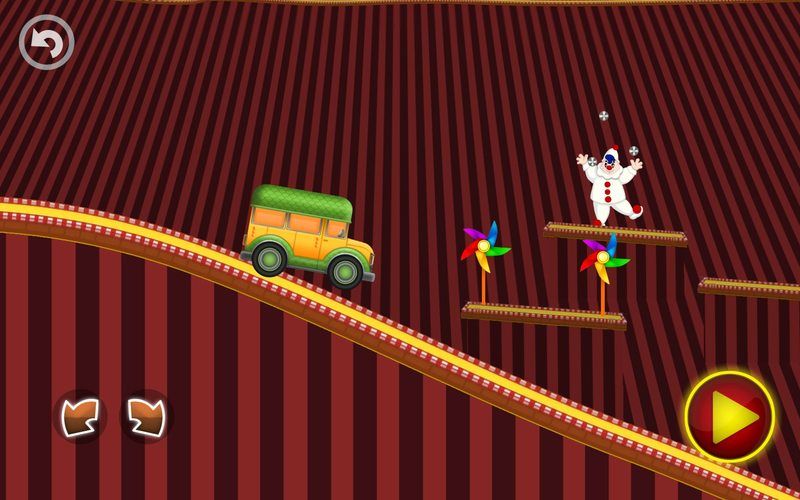 Drive one of 4 circus theme park cars: Clown compactor, I-Screamer, Mr Jingles mobile and Carobatic. 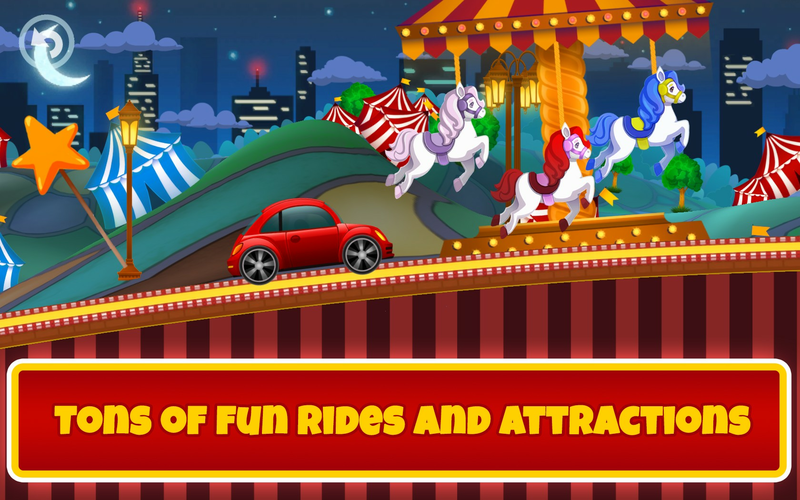 Get lots of prizes and rewards for your great ride in the carnival park. 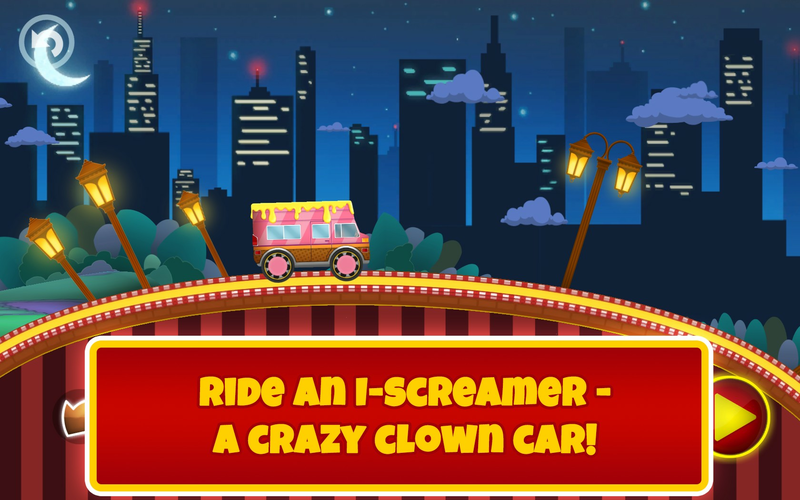 Drive your clown car through the entertaining carnival theme park racing track, have fun in a magical Ferris Wheel, compete with other clowns and circus animals and be first to cross the magical finish line. Prepare for tons of attractions! 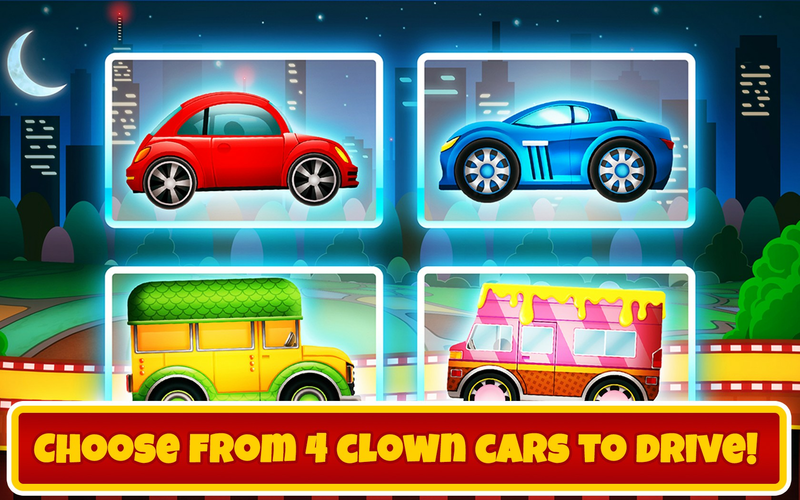 Choose your favorite fun clown racing car from 4 free cars: Clown compactor, I-Screamer, Mr Jingles mobile and Carobatic. 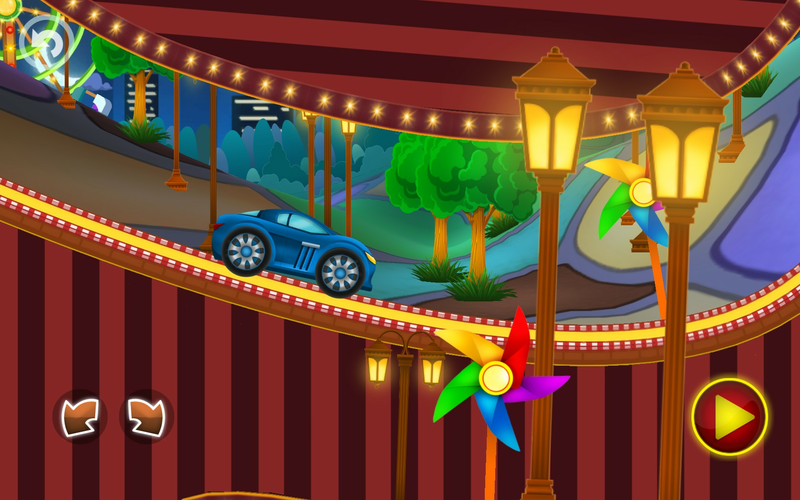 Drive and unlock new magical carnival theme park cars. 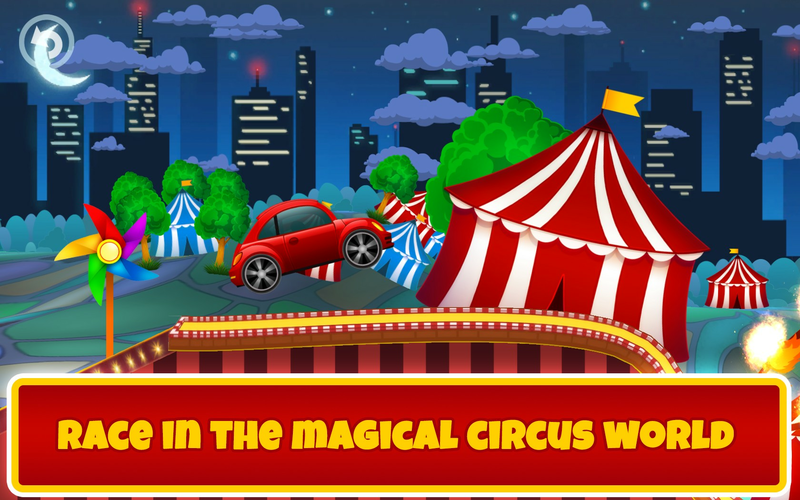 Do entertaining stunts, high jumps and fun flips while driving in this magical circus theme park cars! Drive in 12 entertaining carnival theme park racing tracks! Have lots of fun in surprising car racing gameplay! Play this carnival racing game and develop your skills such as problem solving, quick decision making, creativity and flexible thinking, fine-motor and working-memory skills, self-control and hand-eye coordination.